Space and storage are ideal when putting together a room for little ones! Kids love to run around and need space to do so. We love creating different areas in the room where they can do different activities such as a table for drawing and doing puzzles. Another area where they can play around with their toys and have storage to put them back. And of course an area where they can rest, take naps and sleep comfortably! Kids don’t have the biggest room of the house, so how do we create all of these so called “spaces” if there’s lack of it?! One of our favourite “DIY” for kids or even for the kitchen, is a chalkboard wall!! Not only is it extremely fun, but kids can do multiple activities and learn on the chalkboard in a very playful way! 1 – Figure out which wall of the kids room you want to transform into a chalkboard, it could be a section of the wall or the whole wall! It really comes down to personal preferences. 2 – Once you have that figured out, place a cloth near the wall that’s being painted and start sanding the wall. If you are painting around windows or anything else that needs to be covered, make sure to protect those areas with some painter’s tape. 3 – Pour in the latex chalkboard in a small container, use a paintbrush and start painting two coats around the ceiling corners, wall edges and window trim. 4 – After that step is done, it’s time to apply the first coat of paint by using the roller paint brush. Let it dry for 2 hours and you can apply a second coat by painting the wall with a light touch. Allow the wall to dry until the next morning before writing on it! This is a simple and fun DIY that your kids will enjoy and have a creative space! Please do your own research before starting the project to make sure you have the direction and supplies needed. Now let’s talk storage, kids need storage to put away their toys and have room to sleep or do other activities! 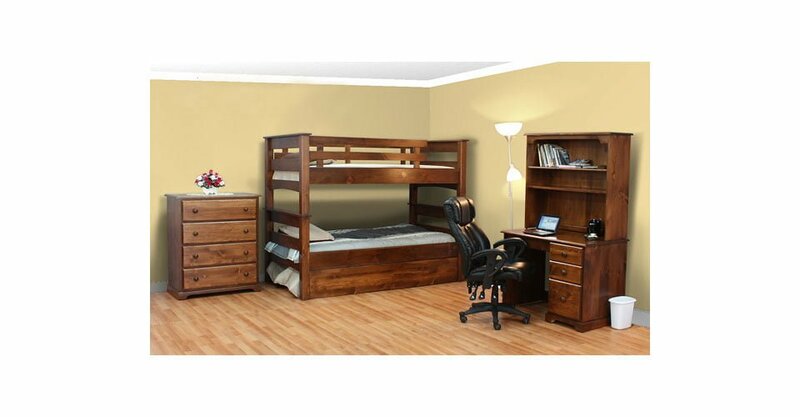 If your kids are sharing a room, we love the idea of bunk beds!! They have their individual space to sleep, while having a stunning and sturdy piece of furniture in their room! We have an example of one of our styles of bunk bed sets below, we provide more different styles and sizes to suit any home! 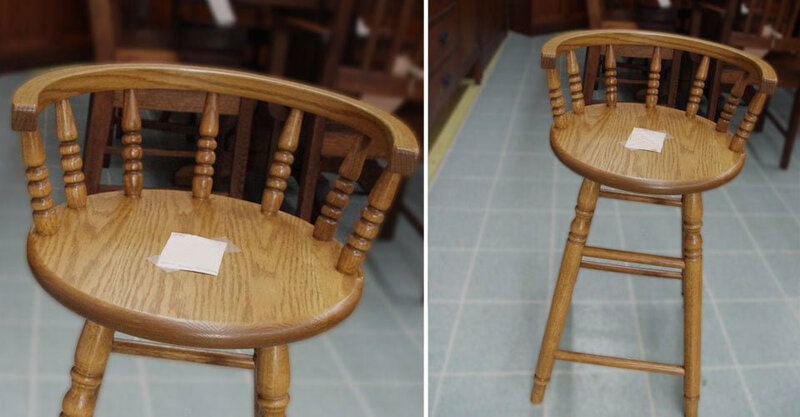 What’s cuter than a miniature chair and table? Cute kids, of course! 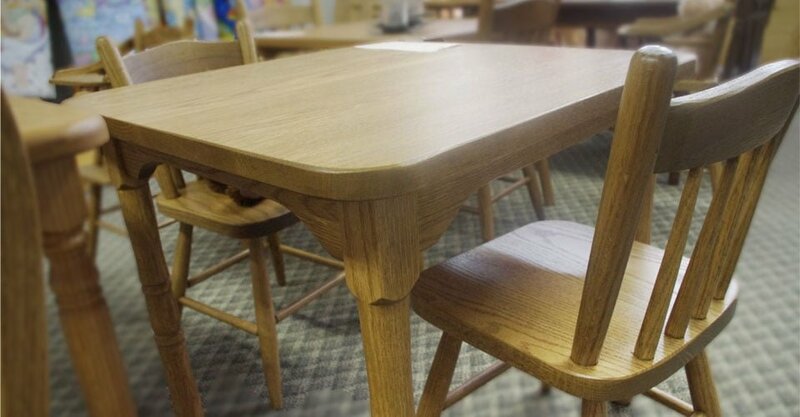 We created sturdy and beautiful wooden chairs and tables. 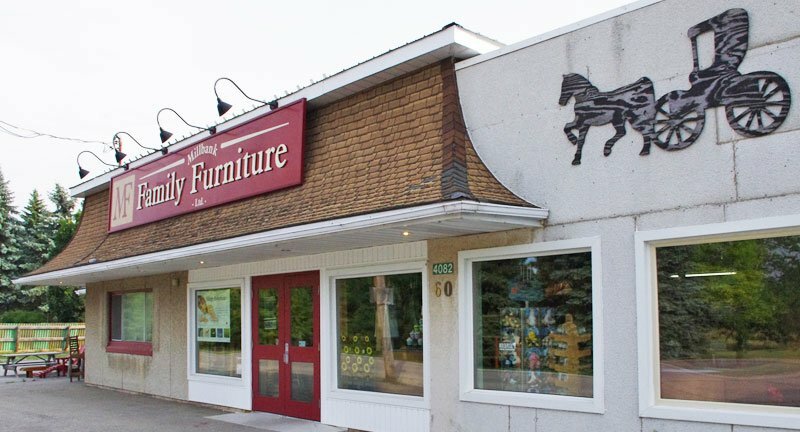 We have a great deal of choices and styles, so your kids can have a space to draw, do puzzles and play! Feel free to share the space that you put together, we love to see how creative our customers are! Until next time, have a wonderful day! !